Determination of the air velocity in CFM and air changes per hour ACPH in pharmaceutical clean rooms and also know its requirements in different cleanroom classes like 100, 1000, 10000, 100000. Air changes in the pharmaceutical clean room play an important role in the maintenance of HVAC clean room quality. Air changes per hour are the number of total replacements of any room’s air in one hour. If the supply of the air by HVAC system in one hour is equal to the volume of the room then it will be one air change per hour. Rooms having 60 air changes per hour will have 60 times air supply then the volume of the room. FDA recommends maintaining the minimum 20 air changes per hour for clean rooms. First of all, determine the velocity of the air below the HEPA filter in feet per minute. It is determined at the four corners and the center of the filter and the mean of the five readings are determined. Now calculate the area of the filter by multiplying the length and width of the filter in feet. 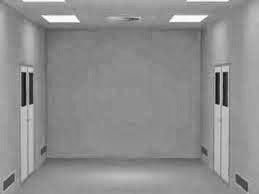 Calculate the total air in the room multiplying the length, width and height of the room in feet. The requirement of number of air changes per hour for any clean room depends on the class of the room, number of personnel working in the area and frequency of access the room. Cleanliness of any clean room is maintained by the air changes per hour. More air changes per hour are required for the better clean room class than the lower one. More air changes per hour are required to maintain the area where dust is generated as in granulation and tablet compression areas. In these areas dust is to be removed in a short period, hence more air changes per hour are required. Following is the list of the air changes per hour in different classes of classified area. Therefore the air changes per hour for chean room show the quality of the air in the cleanroom that helps the maintenance of the clean area quality. Can ACPH be calculated based on return Air(Exhaust air) in vegetative room. . specially for Pharmaceutical clean room. How many filters in HVAC System & which Microns?